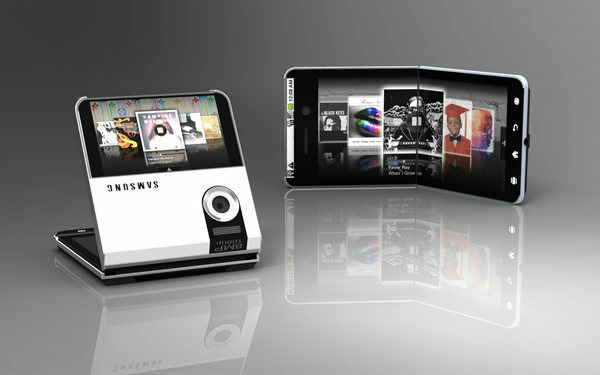 Designer Nick Trumbo designed this Samsung flip. 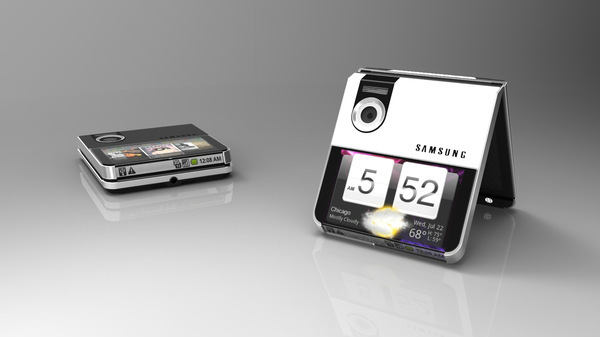 The objective is to design a phone with the Samsung brand name using new OLED screen technologies. With screens becoming thinner and now able to fold and bend, there are many new possibilities in the area of phone design. 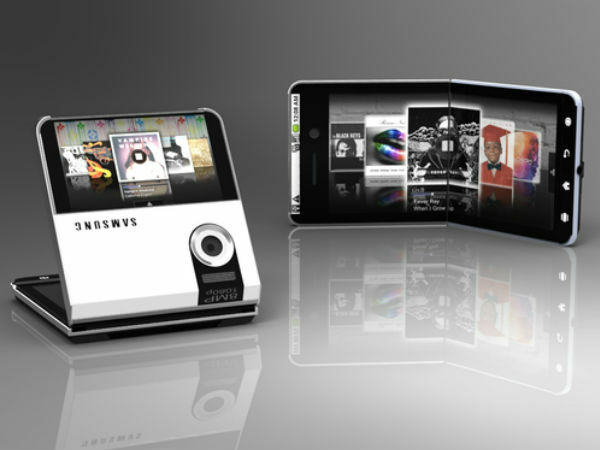 This concept was the Samsung flip, utilizing a front screen that wraps around to the inner screen, allowing for a low profile notification bar separated from the main display. Screen wraps around the bottom of the phone where the notification bar is located. This helps reduce clutter and keeps the notification bar hidden and off the main screen. 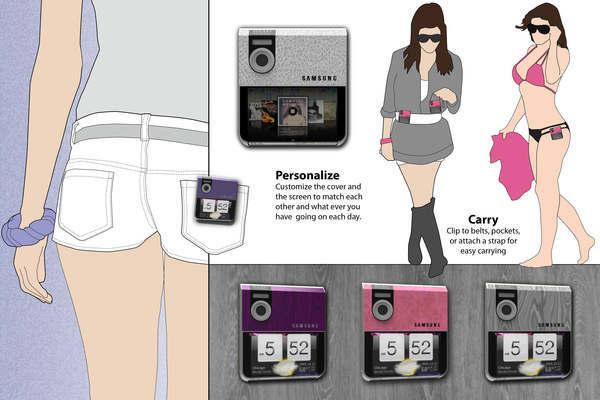 Flip feature allows you to set your phone up in a number of convenient positions. Use front screen for easy access to all apps or quick text/ e-mail viewing while phone is closed. 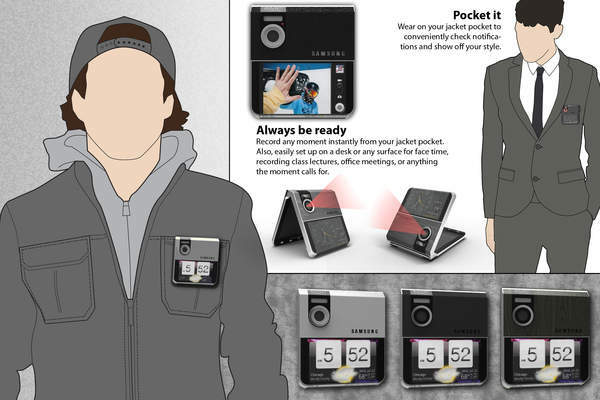 Different interfaces for different phone positions. Flip outer screen towards you or open phone and set up for the best viewing position. Set your phone up in the best position for easy hands free video chatting. 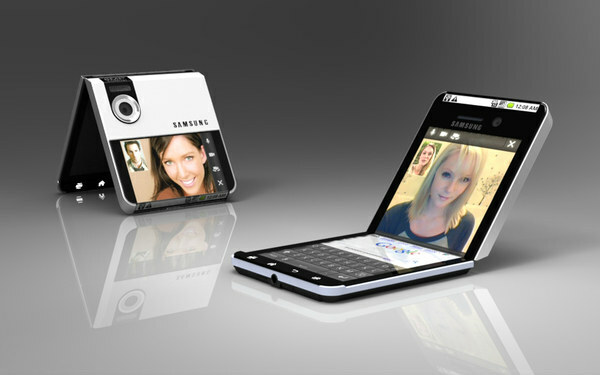 Works for both open and closed phone configurations. Also utilize the inner screen as one display or two, allowing for multiple apps to be opened and viewed at the same time.